This article is about the Russian philosopher. For the Austrian philosopher, see Ivan Illich. For the novella, see The Death of Ivan Ilyich. Ivan Alexandrovich Ilyin (Russian: Ива́н Алекса́ндрович Ильи́н; IPA: [ɪˈvan ɐlʲɪˈksandrəvʲɪt͡ɕ ɪˈlʲin]; March 28, 1883 – December 21, 1954) was a Russian religious and political philosopher, White emigre publicist and an ideologue of the Russian All-Military Union. Ivan Ilyin was born in Moscow in an aristocratic family of Rurikid descent. His father, Alexander Ivanovich Ilyin, had been born and spent his childhood in the Grand Kremlin Palace since Ilyin's grandfather had served as the commandant of the Palace. Alexander Ilyin's godfather had been emperor Alexander III of Russia. Ivan Ilyin's mother, Caroline Louise née Schweikert von Stadion, was a German Russian and confessing Lutheran whose father, Julius Schweikert von Stadion, had been a Collegiate Councillor under the Table of Ranks. She converted to Russian Orthodoxy, took the name Yekaterina Yulyevna, and married Alexander Ilyin in 1880. Ivan Ilyin was brought up also in the centre of Moscow not far from the Kremlin in Naryshkin Lane. In 1901 he entered the Law faculty of the Moscow State University. Ilyin generally disapproved of the Russian Revolution of 1905 and did not participate actively in student riots. While a student Ilyin became interested in philosophy under influence of Professor Pavel Ivanovitch Novgorodtsev (1866-1924), who was a Christian philosopher of jurisprudence and a political liberal. In 1906 Ilyin graduated with a law degree, and from 1909 he began working there as a scholar. In 1911, Ilyin moved for a year to Western Europe to work on his thesis: "Crisis of rationalistic philosophy in Germany in the 19th century". He then returned to work in the university and delivered a series of lectures called "Introduction to the Philosophy of Law". Novgorodtsev offered Ilyin to lecture on theory of general law at Moscow Commerce Institute. In total, he lectured at various schools for 17 hours a week. At that time, Ilyin studied the philosophy of Hegel, namely Hegel's philosophy of state and law. He regarded this work not only as a study of Hegel but also as preparation for his own work on theory of law. His thesis on Hegel was finished in 1916 and published in 1918. In 1914, after the breakout of World War I, Professor Prince Evgeny Trubetskoy arranged a series of public lectures devoted to the "ideology of the war". Ilyin contributed to this with several lectures, the first of which was called "The Spiritual Sense of the War". He was an utter opponent of any war in general but believed that since Russia had already been involved in the war, the duty of every Russian was to support his country. Ilyin's position was different from that of many Russian jurists, who disliked Germany and Tsarist Russia equally. At first Ilyin perceived the February Revolution as the liberation of the people. Along with many other intellectuals he generally approved of it. However, with the October Revolution complete, disappointment followed. On the Second Moscow Conference of Public Figures he said, "The revolution turned into self-interested plundering of the state". Later, he assessed the revolution as the most terrible catastrophe in the history of Russia, the collapse of the whole state. However, unlike many adherents of the old regime, Ilyin did not emigrate immediately. In 1918, Ilyin became a professor of law in Moscow University; his scholarly thesis on Hegel was published. After April 1918, Ilyin was imprisoned several times for alleged anti-communist activity. His teacher Novgorodtsev was also briefly imprisoned. In 1922, he was eventually expelled among some 160 prominent intellectuals, on the so-called "philosophers' ship" the same year. Between 1923 and 1934 Ilyin worked as a professor of the Russian Scientific Institute in Berlin. He was offered the professorship in the Russian faculty of law in Prague under his teacher Novgorodtsev but he declined. He became the main ideologue of the Russian White movement in emigration and between 1927 and 1930 was a publisher and editor of the Russian-language journal Kolokol (Bell). He lectured in Germany and other European countries. In 1934, the German Nazis fired Ilyin and put him under police surveillance. In 1938 with financial help from Sergei Rachmaninoff he was able to leave Germany and continue his work in Geneva, Switzerland. He died in Zollikon near Zürich on December 21, 1953. Russian President Vladimir Putin was personally involved in moving his remains back to Russia, and in 2009 consecrated his grave. 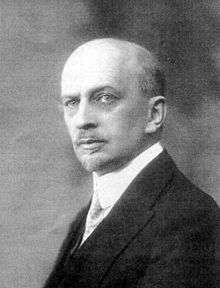 Ivan Ilyin was a conservative Russian monarchist in the Slavophile tradition. Starting from his 1918 thesis on Hegel's philosophy, he authored many books on political, social and spiritual topics pertaining to the historical mission of Russia. One of the problems he worked on was the question: what has eventually led Russia to the tragedy of the revolution? He answered that the reason was "the weak, damaged self-respect" of Russians. As a result, mutual distrust and suspicion between the state and the people emerged. The authorities and nobility constantly misused their power, subverting the unity of the people. Ilyin thought that any state must be established as a corporation in which a citizen is a member with certain rights and certain duties. Therefore, Ilyin recognized inequality of people as a necessary state of affairs in any country. But that meant that educated upper classes had a special duty of spiritual guidance towards uneducated lower classes. This did not happen in Russia. The other point was the wrong attitude towards private property among common people in Russia. Ilyin wrote that many Russians believed that private property and large estates are gained not through hard labour but through power and maladministration of officials. Therefore, property becomes associated with dishonest behaviour. The two above mentioned factors led to egalitarianism and to revolution. 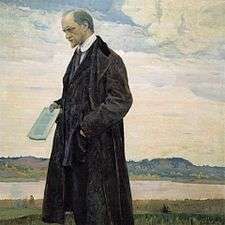 The alternative way of Russia according to Ilyin was to develop due conscience of law (правосознание) of an individual based on morality and religiousness. Ilyin developed his concept of the conscience of law for more than 20 years until his death. He understood it as a proper understanding of law by an individual and ensuing obedience to the law. During his life he refused to publish his major work About the Essence of Conscience of Law (О сущности правосознания) and continued to rewrite it. He considered the conscience of law as essential for the very existence of law. Without proper understanding of law and justice, the law would not be able to exist. monarchical conscience of law is very conservative and prone to keeping traditions while republican conscience of law is always eager to rapid change. Ilyin was a monarchist. He believed that monarchical conscience of law corresponds to such values as religious piety and family. His ideal was the monarch who would serve for the good of the country, would not belong to any party and would embody the union of all people, whatever their beliefs are. However he was critical about the monarchy in Russia. He believed that Nicholas II was to a large degree the one responsible for the collapse of Imperial Russia in 1917. His abdication and the subsequent abdication of his brother Mikhail Alexandrovich were crucial mistakes which led to the abolition of monarchy and consequent troubles. He was also critical of many figures of the emigration, including Kirill Vladimirovich, Grand Duke of Russia, who had proclaimed himself the new tsar in exile. A number of Ilyin's works (including those written after the German defeat in 1945) advocated fascism. However, Ilyin was staunchly opposed to Nazism in his writings, particularly its xenophobic character. Although Ilyin was related by marriage to several notable Jewish families he was accused of antisemitism by Roman Gul, a fellow émigré writer. According to a letter by Gul to Ilyin the former expressed extreme umbrage at Ilyin's suspicions that all those who disagreed with him were Jews. Facing this creative task, appeals of foreign parties to formal democracy remain naive, light-minded and irresponsible. Перед лицом такой творческой задачи -- призывы зарубежных партий к формальной демократии остаются наивными, легкомысленными и безответственными. Ilyin's views influenced other 20th-century Russian authors such as Aleksandr Solzhenitsyn as well as many Russian nationalists. As of 2005, 23 volumes of Ilyin's collected works have been republished in Russia. The Russian filmmaker Nikita Mikhalkov, in particular, was instrumental in propagating Ilyin's ideas in post-Soviet Russia. He authored several articles about Ilyin and came up with the idea of transferring his remains from Switzerland to the Donskoy Monastery in Moscow, where the philosopher had dreamed to find his last retreat. The ceremony of reburial was held in October 2005. Following the death of Ilyin's wife in 1963, Ilyin scholar Nikolai Poltoratzky had Ilyin's manuscripts and papers brought from Zurich to Michigan State University, where he was a professor of Russian. In May 2006, MSU transferred Ilyin's papers to the Russian Culture Fund, affiliated with the Russian Ministry of Culture. Resistance to Evil By Force (О сопротивлениии злу силою, 1925). The Way of Spiritual Revival (1935). Foundations of Struggle for the National Russia (1938). The Basis of Christian Culture (Основы христианской культуры, 1938). About the Future Russia (1948). On the Essence of Conscience of Law (О сущности правосознания, 1956). The Way to Insight (Путь к очевидности, 1957). Axioms of Religious Experience (Аксиомы религиозного опыта, 2 volumes, 1953). On Monarchy and Republic (О монархии и республики, 1978). ↑ Brooks, David. "Putin Can't Stop". New York Times. ↑ "I. Ilyin, National-Socialism: The New Spirit. 1933 (Национал-социализм. Новый дух)". Iljinru.tsygankov.ru. Retrieved 2014-08-15. ↑ "I. Ilyin, On Fascism, 1948 (О фашизме)". Ru-contra.nm.ru. Retrieved 2014-08-15. ↑ Archived July 16, 2011, at the Wayback Machine. ↑ "Michigan State University returning papers of late dissident Russian philosopher Ivan Il'in". Newsroom.msu.edu. History of Russian Philosophy «История российской Философии »(1951) by N. O. Lossky. Publisher: Allen & Unwin, London ASIN: B000H45QTY International Universities Press Inc NY, NY ISBN 978-0-8236-8074-0 sponsored by Saint Vladimir's Orthodox Theological Seminary.